As a team we started Kick Off weekend by all coming together at our building location to watch the livestream together. 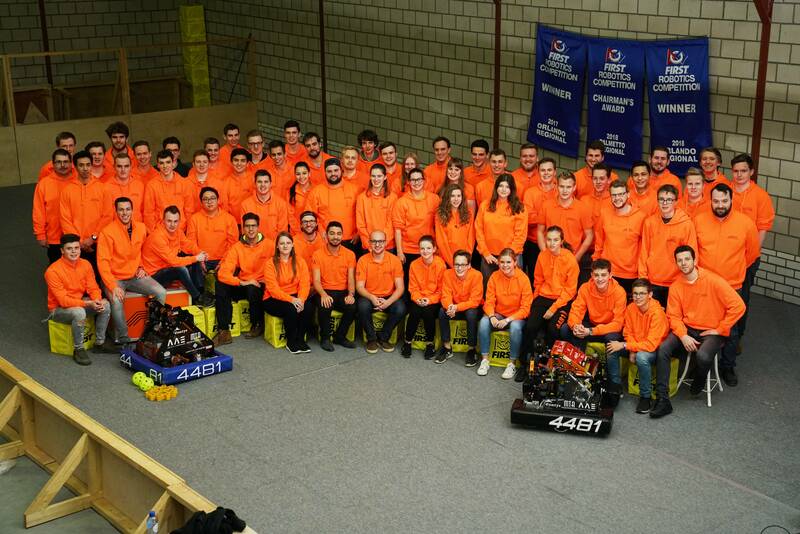 We also invited FTC teams Team Space and Probotics to experience an FRC Kick Off and to learn how we make strategy decisions. Before we the livestream started, we watched highlight reels from previous FRC seasons in order to motivate the entire team. We also shared our predictions on how the Destination: Deep Space would look like. We all gathered around the projector screen excited for the livestream to start. After a long and nervous wait, the game was finally released. The whole team was very enthusiastic after the release and we all opened our laptops to start reading the manual. The whole building location was suddenly quiet as everybody was focused on the game manual, trying to understand the game completely, and maybe even finding a couple of loopholes in the rules. After we all finished reading the manual, we gathered in small groups to start coming up with strategies. We worked out all the different possibilities for specialist and hybrid robots, in hopes to find the ultimate strategy for Destination: Deep Space. We then ranked every strategy according to total possible amount of points, difficulty of manufacturing and expected performance at the regional and world championships. Exhausted from the long day, everybody set up an air mattress on our field and got some well needed sleep. The next day we woke up early to continue discussing the game and get ready for our Kick Off presentation. We invited our friends, family, partner companies, and community to share the excitement with us. 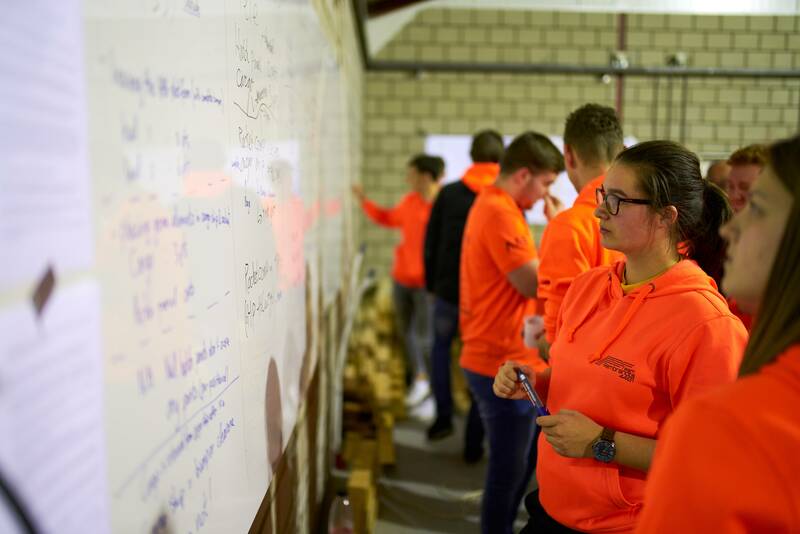 In our presentation we introduced everybody to the FRC game for this year, and shared our off-season project, a new flight case and pit that some of our mentors designed together with our partner companies Faes Cases and CEVA logistics. After the presentations there was time for our guests to socialize with team members to ask questions about the game and our team. Some even came with suggestions for strategies and robot designs. After the long weekend our members all went home to get a last good night’s rest before building season would really start on Monday.